Lynda Grace An Hour Away: Death, Taxes and High Gas Prices? 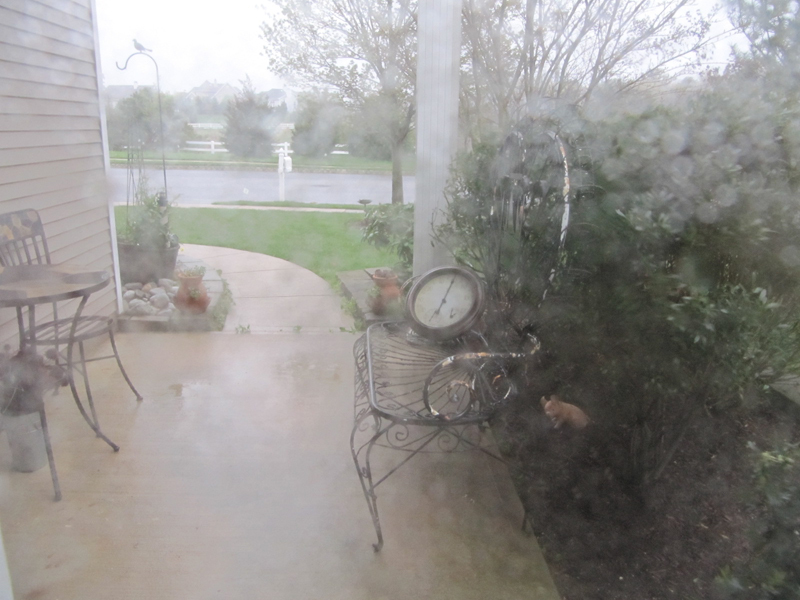 It's a little after 6:00 a.m on a grey, blustery and rainy morning. The perfect setting for my mood. I was lying in bed thinking about what Ross and I could do today. I have been wanting to visit my favorite LYS for a few months now, but I have been disciplined enough to remember my stash. More importantly, like everything else for us, the shop is an hour away. That's the second reason why I have not been to Mt. Holly. 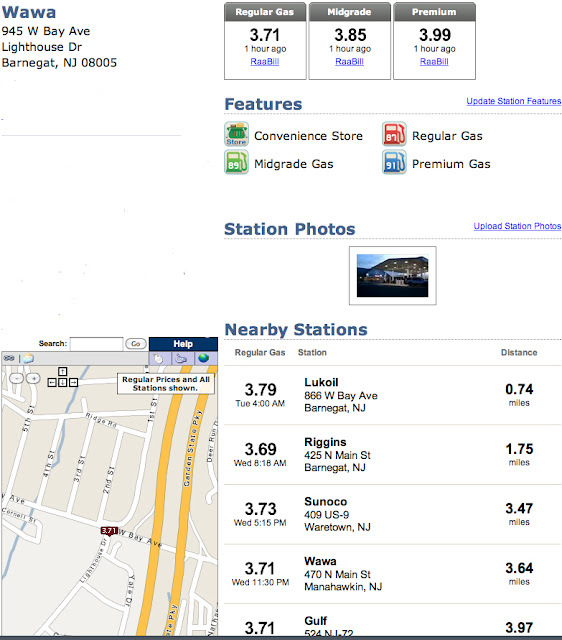 Nine years ago, when Ross and I first moved to Barnegat, the national average for a gallon of gas was $1.36. During the past month, we watched the price of gas go up daily. Sometimes, it would go up twice in one day! Last week at this time the price at this WaWa was $3.53. Now I know this is not a big reveal. I also know that there are other parts of the country where these prices would be considered a bargain. For us, the price of gas does affect us personally. Particularly in the choices we make. Ross likes to drive. In fact, as he always says, he is a much better driver than he is a passenger. He would rather be behind the wheel. Therefore, he always volunteers to drive. He has a standing Tuesday morning breakfast date with his buddy Sal. The typical Monday evening telephone conversation would be: "Sal, 8:30 tomorrow?" "I'll pick you up." Now it's "Sal, your turn to drive, right?" We used to think nothing of hopping in the car and taking the hour plus drive to see one of the kids. Now we think twice or three times about it. Last week, Ross had plans with our son-in-law, Derek, and our grand daughter Bella to visit the Museum of Natural History in New York City. Normally, even though it would have been out of the way, Ross would have offered to pick Derek and Bella up and drive into the city. Instead, Ross took the bus in, Derek and Bella took the train and they met at the Museum. My stash is where I shop now. And when I get desperate and absolutely need a new skein or two, I will run over to Michaels or A.C. Moore which are only 5 miles from our house. Red Heart Super Savers are not so bad, right? From what I understand, currently there is not a shortage of oil. But, the decision makers, the wall streeters, the investors, are the ones who are speculating that there just might be one in the future. So just in case that happens, they feel they better jack up the prices now. I know that's probably a pretty simplified, explanation, but it's what I get from all of the talking heads' descriptions of the problem. I feel frustrated and wonder what I, as an individual, can do about the gas prices. Who do I go to for help? Who is listening? How can I protest? Would Yarn Bombing the oil companies get their attention? I find it interesting that there is not more of a collective out pouring of rage about it. Have we all been lulled into a soft wooly trance? Or do we all feel that there is nothing we can do about it. Has it become inevitable like death and taxes? When we moved into our community, we used to joke that even though it's gated, they don't lock the gates, and we can come and go as we please. But now, sadly, we do sort of feel locked in.